Anyhow, my four hashtag embroidery designs are now finished. I am pretty thrilled with them and having already written about the first two - here are the second two. First up is 'Hashtag Imagine'. I love the versatility of this design as you can customise it to be your bookshelf or that of someone else. It is easy to do with appliqué motifs and yet it is cheerful and fun and easy to let your imagination run away with ideas. 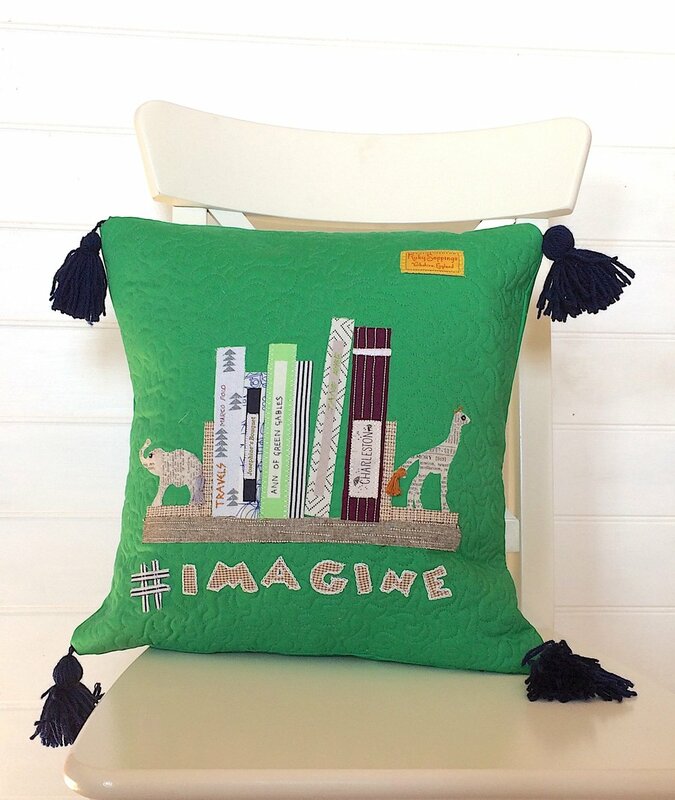 Make it into a cushion! Using different fabrics and colour ways transforms how it looks so you can customise it to suit any room and anybody. The final hashtag is 'Create'. My daughter loves to paint and I love the seaside so I guess it is not hard to see where my inspiration came from. Of course the design also makes the perfect cover for a sketchbook. These patterns are all up as downloadable pdfs in my etsy shop and printed patterns and kits will be coming in the next couple of weeks. Next time... a little patchwork elephant.